Guide to Colfax County, Nebraska ancestry, genealogy and family history, birth records, marriage records, death records, census records, family history, and military records. The County was named for Schuyler Colfax. The County has Schuyler as its seat and the County was created 1869. The County is located in the east central area of the state. County Judge has marriage records from 1869, probate records from 1886 and court records from 1885. Clerk District Court has divorce records from 1881. 1869 Colfax County was created 15 February 1869 from Platte County. For tips on accessing Colfax County, Nebraska Genealogy census records online, see: Nebraska Census. Local histories are available for Colfax County, Nebraska Genealogy. County histories may include biographies, church, school and government history, and military information. For more information about local histories, see the wiki page section Nebraska Local Histories. The FamilySearch Catalog lists films of probate records. To find the records for this county, use the Place Search for Nebraska - Colfax - Probate records. ↑ Wikipedia contributors, "Colfax, Nebraska," in https://en.wikipedia.org/wiki/Colfax_County,_Nebraska." ↑ Handybook for Genealogists: United States of America, 10th ed. (Draper, Utah: Everton Pub., 2002), Colfax County, Nebraska. Page 428-435 At various libraries (WorldCat); FHL Book 973 D27e 2002; Alice Eichholz, ed. Ancestry’s Red Book: American State, County, and Town Sources, Third ed. (Provo, Utah: Ancestry, 2004), 417-420. ↑ Wikipedia contributors, "Colfax County, Nebraska," in Wikipedia: the Free Encyclopedia, https://en.wikipedia.org/wiki/Colfax_County,_Nebraska, accessed 22 January 2019. 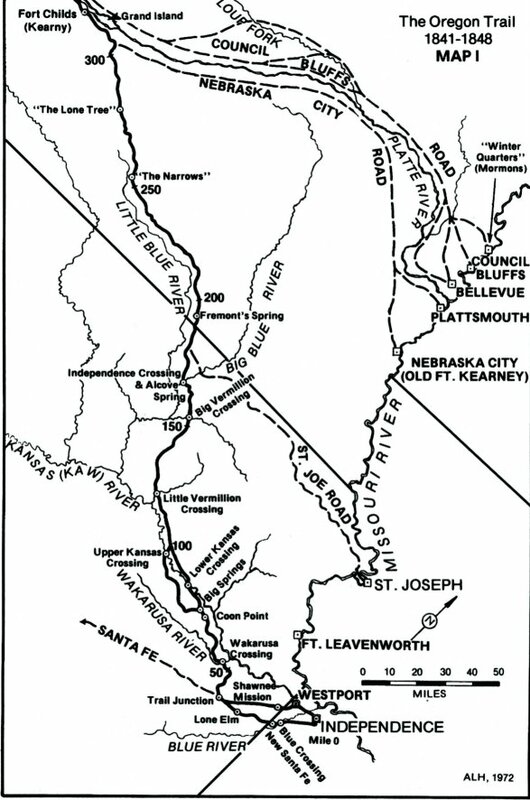 ↑ Jim Tompkins, "The Oregon Trail 1841-1848 Map I" in Oregon Trail Landmarks at http://www.oregonpioneers.com/OTMap1.jpg (accessed 18 July 2011). ↑ "The Pioneer Story: The Mormon Pioneer Trail" in The Church of Jesus Christ of Latter-day Saints at http://lds.org/gospellibrary/pioneer/pioneerstory.htm (accessed 18 July 2011). This page was last modified on 22 January 2019, at 21:46.